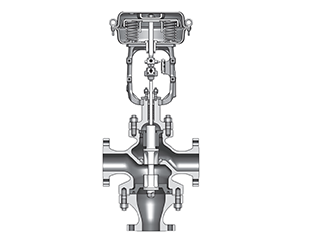 Due to control valve directly contact with process media,its performance directly affects the quality of the system and environmental pollution, so the valve must be regular maintenance, especially in the case of harsh conditions and important occasions, we should pay attention to maintenance work. 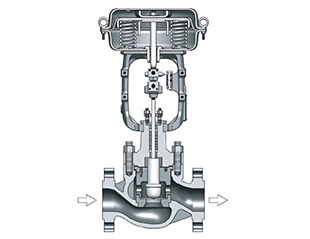 (1) Control valve body wall, diaphragm used in high differential pressure and corrosive media occasions often subject to shocks and corrosive, they should be focused on checking the pressure, corrosion-resistant case. (2) The thread fixed seat is easy to be corroded, lead to the seat is loose,so we should focus on checking this site;For the valve worked under high differential pressure should also check whether the seat sealing surface is erosion, cavitation. (3) Spool is corroded by media seriously, the maintenance should carefully check whether is corroded. (4) Check the diaphragm, "O" rings and other seals whether is cracking or aging. (5) It should be noted PTFE packing, sealing grease is aging, mating surface is damaged, it need be replaced if necessary.